Nokia N8 is the first handset by Nokia which is powered by Symbian^3 platform and it was launched in India in October last year. Recently I got my hands on this 12 Mega Pixel camera phone by Nokia. From almost last two months, I’m using this handset and I’m really impressed by its performance. When I first used this handset I thought it would have the same touch screen like many other Nokia mobile phones but believe me its touch response is far better and comparable to touch response of Samsung mobile phones. Nokia N8 has got many impressive features that a smart phone must have. Now lets talk about its features one by one. One of the best and impressive features of Nokia N8 is its 12 Mega Pixel Autofocus Camera at the back. You can capture high quality HD images with its camera even at night as the camera comes with Xenon flash with automatic red-eye removal. 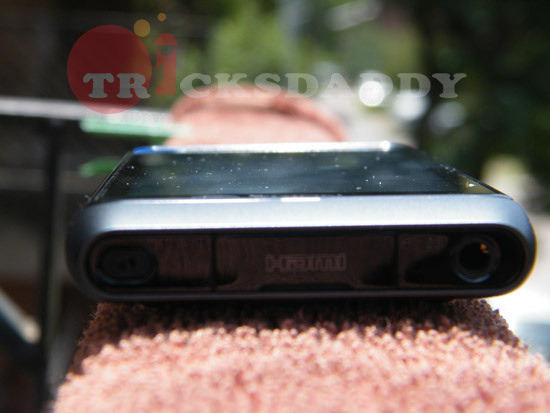 The other feature of its camera is its digital zoom which is upto 2x for still images and upto 3x for video. When you buy Nokia N8 you don’t need to carry a digital camera with you. You can capture images and videos with your mobile phone only. Other impressive feature of Nokia N8 is its HDMI connectivity. Now a days most of the LCD televisions and computer monitors come the HD resolution and you can connect your Nokia N8 directly to your TV via HDMI port. You can play motion sensor games of your mobile phone on large screen using this port. You can also play the videos captured with 12 Mega Pixel camera on HD LCD TV. 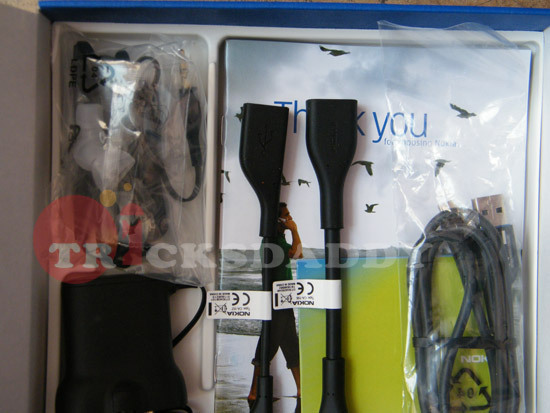 When I first heard about USB On-the-Go feature of Nokia N8, I was eagerly waiting to check this feature out. This feature is really useful when you are away from your computer. Using USB On-the-Go feature, you can connect your pen drives directly to your mobile phone. You can transfer files directly between your mobile phone and pen drive or portable hard disk drive without the need of a computer or a laptop. I really love this feature. This phone will continue to impress you with its features. It not only allow you to view HD videos and images on a large LCD television but it also provides Dolby Digital Plus surround sound compatibility. So you can enjoy high quality sound on your home theatre directly from your mobile phone. Being a Samsung Galaxy user, I would not say much about its UI. Its UI is bit slower but its touch response is far better than other Nokia handsets (But not as good as Samsung Galaxy S or iPhone). I would recommend this phone if you want all the multimedia features in a single device. It will give you impressive camera, Dolby digital surround sound and 16 GB internal memory (Expandable upto 32 GB). It gives you good value for money. At present it would cost you around Rs. 23000. 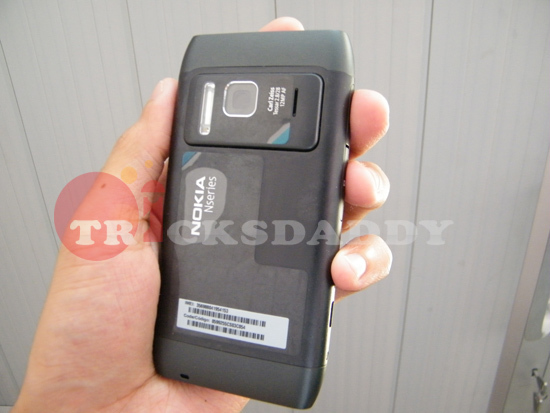 If you love Nokia handsets then you must definitely go for this one. Nice mobile set really cool!!!!!!!!! Nokia N8 sounds pretty good. But I prefer Android handsets such as those from HTC and Samsung. Hello. An interesting test. I always read reviews before I buy a product. I want to see pictures on camera phones and cameras. The pictures say more than 1000 words, before I decided to buy the “best” camera phone, because I shoot a lot. But to my great surprise, so is the camera in the Nokia N8 (which has 12 megapixels) much better than my old Nokia N82 at 5 megapixels. It’s a big difference. Tested and compared. Nokia N8 almost always has razor-sharp images, but Nokia N82 has no chance of sharpness. When I zoom in to see the sharpness, it is discarded on Nokia N82, but not on Nokia N8.